One of the reason to love wordpress site is the availability of wordpress plugins. A lot of wordpress plugins are available for different purpose. Most are free and some may be paid. Have you missing any plugin? Here are some of best free wordpress plugins for 2013. Jetpack is a WordPress plugin have so much features. Jetpack is collection of some plugins. Some will automatically activate after installing. You need a wordpress account to use this plugin, so u need to register at wordpress.com. One of the useful feature is that, you can view your website stats. How much visitors a day, how visitors are coming from,search queries and more. So no need to use Google Analytics (recommended) or something like that. Here are some features of Jetpack. I cant tel all features of Jetpack, you should try this great plugin. A plugin to make your site or blog spam free. This plugin will automatically detect spam comments and then move it to spam page. You can also view stats that Akismet blocked. Top WordPress plugin to speed up your website. W3 Total Cache include Page cache, Minify CSS/JS , Browser cache, Database & object cache, content delivery network and much more. Moreover W3 Total Cache have CloudFlare protection. Create a contact form using this plugin. No coding, just paste a shortcode in a page. Also you can customize it. Contact Form 7 supports CAPTCHA, Ajax powered submitting, Akismet spam filtering and more. 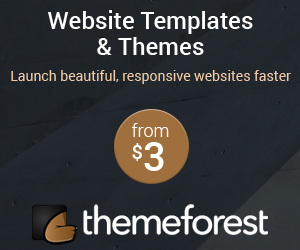 This is one of the most essential wordpress plugin. Pagination is an important thing for every dynamic websites or blogs. WP-PageNavi is an easy way to use pagination with custom styles. Customize your wordpress dashboard. Setup wordpress dashboard differently to different role authors, contributors, subscribers etc. Customize menus,admin bar,import and export themes and more. A simple and easy breadcrumb plugin. Internal links are really important for SEO, Breadcrumb will increase your internal linking. Also users can easily navigate a website. Breadcrumb NavXT is highly customizable wordpress plugin. A rating system with so much options. Star rating and thumb ratings are included in this plugin. This rating system can be put in post, pages, comments and also customize size and icons. WP-PostRatings plugin is recommended for basic users. This is a valuable plugin for PHP programers. Normal widgets supports only text and HTML. Using PHP Code Widget, PHP code can be directly insert to widget. It is easy and simple. WP-DBManager can backup,restore, optimize and repair your database. Automatic scheduling of backing up is a great feature of WP-DBManager. Also you can drop tables from database and run query from WordPress admin panel. I know i am missing more plugins. These wordpress plugins will be helpful for your blog or website to perform better. Don’t forget to check out Best SEO wordpress plugins. What impresses me is that squirrly has multiple keyword research based on competition. Now I know if my keyword is searched or is there a keyword my competition uses and works better. And I really like the Seo live assistant that tells you the right keyword density and how many words to right. Hi Damro, Thank you for your suggestion. I will try this plugin. Really nice list of plugins Rahul… Bookmarked. I will take some time to check some of those plugins.. Cheers! Contact form 7 is my personal favorite, it’s super easy to use and to customize it there’s a lot of supportive modules available on the WordPress repository! I’m sure should be added more plugins.I recently discovered how to automatically add affiliate links inside your content. This is good list ( wp-cache is really good ). I have came across a script called as ‘Dynamic Website Compressor’ which used to compress ( minify ) your HTML – CSS – Js on the fly. No coding required. WP Page Navi is something that I was searching! I finally got the feature I was looking for. Thanks! I have been looking this kind of wordpress plugins. Great collection of wordpress plugins. Thanks for share. Also use a plugin like Redirection to regularly fix any broken links that may appear on your site. Google Webmaster Tools is also another place to get information on broken links that appear on your website. Adminimize is awesome indeed. Great post! Thanks! Great to know about all the plugins.I have been using the AKISMET for some time.It is one of my favorite WP plugin & I will try WP-DB manager as it seems very useful.Thanks a lot for this article and hoping to see such good work like it in the near future.